Exhibit Concept Rendering is subject to change. 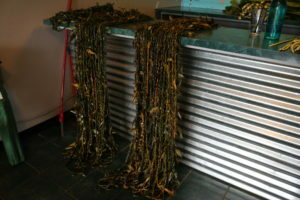 Photo Courtesy of Maui Ocean Center. 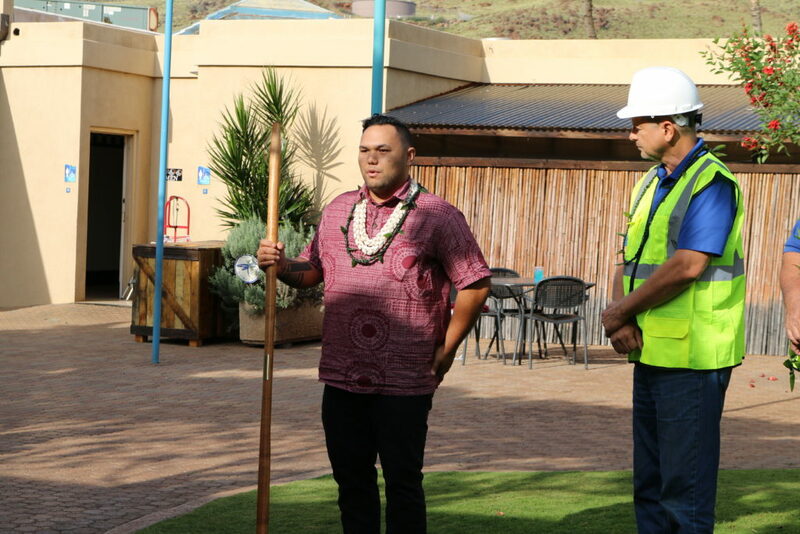 A blessing ceremony was held at the Maui Ocean Center on Wednesday, Feb. 14, 2018 as they broke ground on the Nalu Lawn for a specialized dome theater and whale exhibit, scheduled to open in July 2018. Kahu Dane Maxwell led the blessing on Wednesday, just as his grandfather, Charlie Maxwell, did 20 years before to open Maui Ocean Center. The new exhibit will replace the Aquarium’s Nalu Lawn which is being relocated within the park. 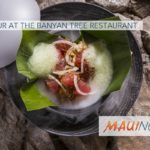 The new dome theater will feature 139 seats with 360-degree views, and a 3D short-film enabling viewers to dive with the humpbacks of Maui. 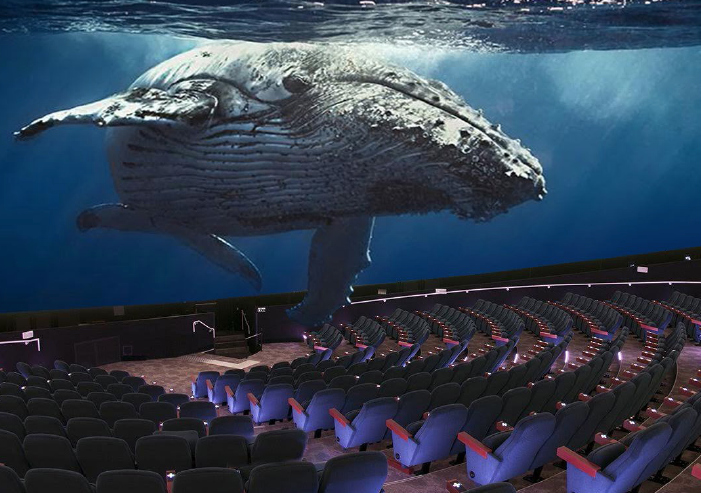 Utilizing state-of-the-art dual laser projection technology, the dome theater will enable visitors to dive among humpback whales in an immersive, virtual experience. The monolithic dome theater will be the first of its kind in Hawaiʻi. 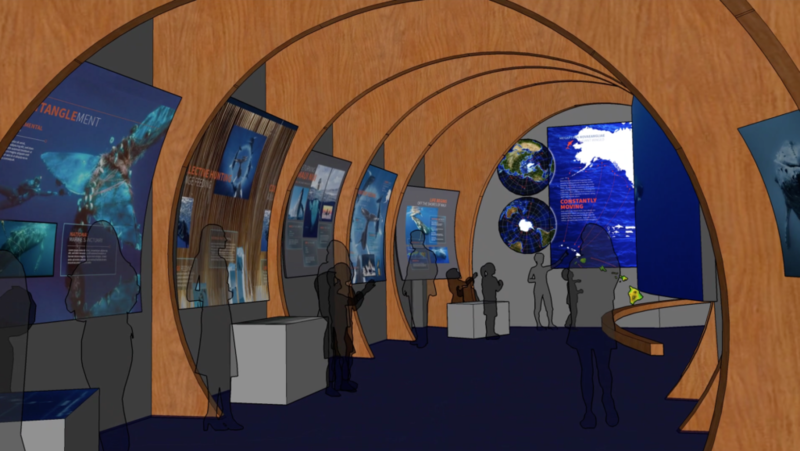 The new whale exhibit will celebrate the Humpbacks by bringing these gentle giants to Maui Ocean Center through cutting-edge visual and audio technology. 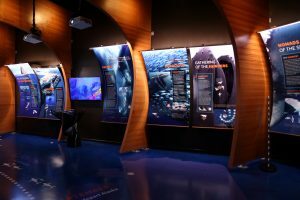 The exhibit space will focus on the whales’ nomadic lifestyle, their behaviors at any given point of their migration, the different roles they engage in, and the migration routes taken globally, regionally, and within Hawaiʻi. Humpback whales will come to life through the combination of active 3D glasses and 4K high definition imagery produced by multiple laser projectors. The dynamic 7.1 surround audio system utilizes an advanced, LEED-certified acoustical system that is made of 100% recycled cotton and employed by the likes of NASA and the US Navy. 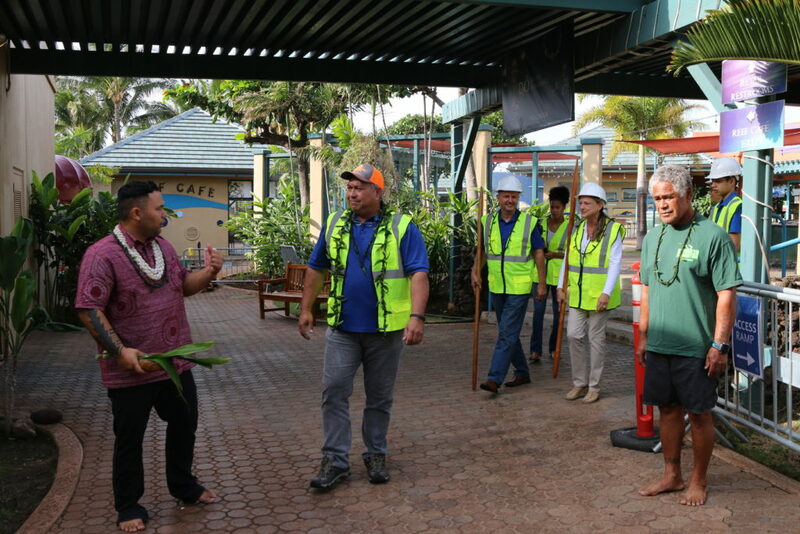 Created in part with local Maui artisans and marine specialists, the facility will feature an exhibit hall with interactive learning stations and previously unseen footage of local humpbacks. 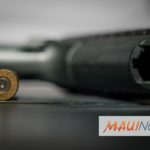 Tapani Vuori, Maui Ocean Center’s General Manager, says the dome theater will also be open to the local community for use.